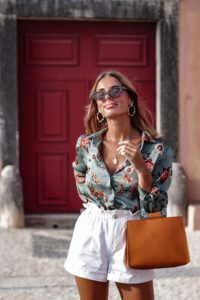 Recently we came across the Instagram profile of Patrícia Claro, a Portuguese influencer who mainly blogs about fashion, travel and food. We genuinely wanted to get to know Patrícia better because of her great eye for fashion, but most importantly her passion for traveling. 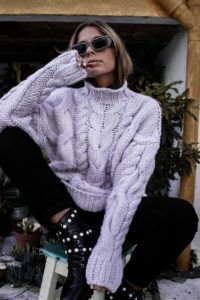 In this Q&A Patrícia speaks about her previous travel experiences and how this has an impact on her personal fashion and lifestyle. I’m from Portugal, more specifically from Estoril which is a municipality of Cascais. I find it one of the most beautiful places in the world to live. To be honest I didn’t know there was such kind of a concept but it’s surprisingly nice to realize that something like AISPI exists. Nowadays people are so obsessed with fast fashion that they forget there are plenty of other ways to buy unique fashion. I say this because I often buy fast fashion products myself, more than I should. When did you last traveled? Did you visit boutique stores? I’m the type of tourist that explores everything by foot because I think that’s the best way to get to know a place. On top of that, we discover many of the non- touristic places. First of all, I like Sandra Sandor who is the founder of Nanushka because I just love her style. She can make simple pieces look very special. Secondly there is Christopher John Rogers because of the colors he uses, the ordinary escape. Thirdly I am a huge fan of Alexandra Moura because she has a great eye for detail. What does traveling mean to you? How does it influence your style? What I like most about traveling is the fact that we learn so much and we are able to see new things, new people and new styles over and over again. I think that every city has its own identity in terms of fashion. What I like when I travel is that everyone has their own style and that everyone, at least most of them, dare to wear it without fear. To be honest, here in Portugal it often happens that people stare at you when you wear something out of the ordinary. When i’m abroad, I don’t have this feeling of being stared at and that’s one of the reasons why I love traveling. I think every style, whether it’s in or out of fashion, is beautiful because it represents how people feel. What are some of your favorite cities to visit in Europe (can be your hometown as well)? I love Estoril, the city where I live in and I would recommend this city to anyone who has the opportunity to travel. There are still a lot of places on my wishlist that I want to visit in Europe. The two cities that have a special place in my heart are Amsterdam and Barcelona. I cannot explain why but there is something magical about these cities. What is your vision/ motto/ a statement you live by? Why did you start blogging? As an influencer, there are so many that look up to you, what is the impact that you hope to leave behind? I don’t know if it can be considered a motto, but I like to believe that nothing in life happens just like that. Everything has a reason. Of course, we have to dream, work and fight for what we want, but I strongly believe that nothing happens without a reason. And so, I think a secret to happiness is to let every situation for what it is instead of what you think it should be. I have a picture in my room with this phrase to remind me of it every day. I’m more of a content creator. In creating content, I like to believe that I make a difference in someone’s life. We never know who is watching or following us and how we can inspire those people. This inspiration can be through the outfits I wear, the way I look at life, something I say, anything at all.